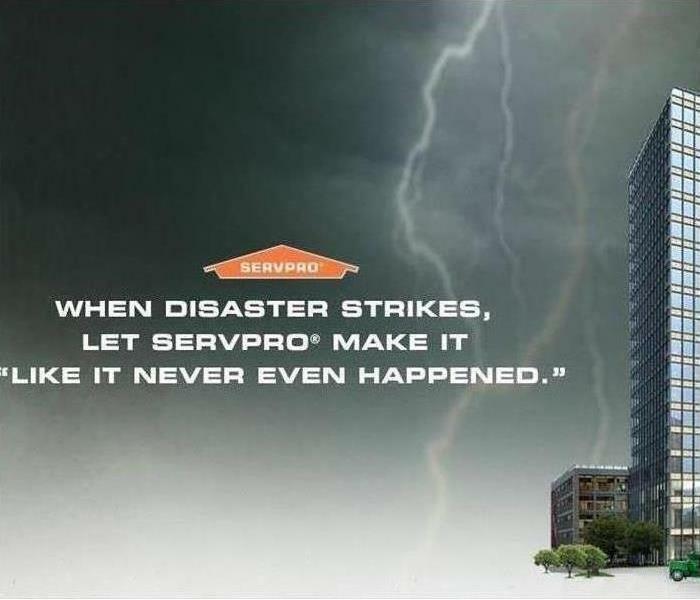 People and businesses rely on SERVPRO to restore damaged property for many reasons. 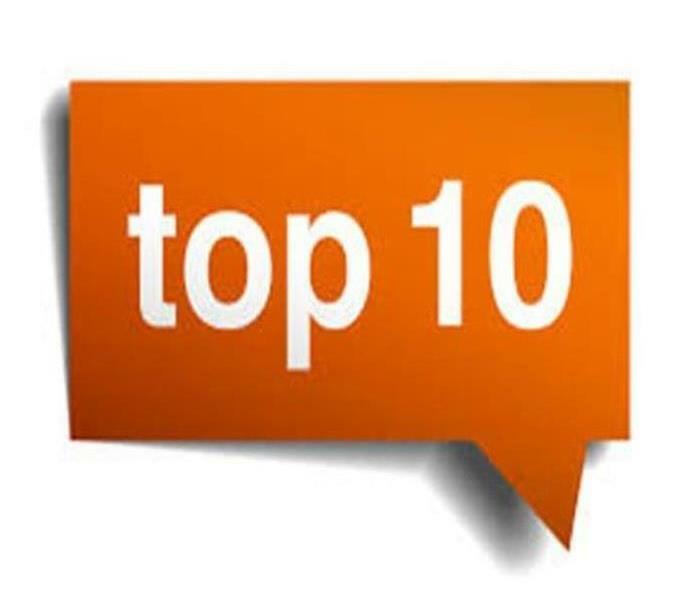 Here are just 10. SERVPRO of Central St. Petersburg / Pinellas Park understands your situation. You want to keep costs down, repair the damage, and get back to normal. Those are our goals, too. Our repair and restoration team members have the best training in the industry. Our results will create a measurable difference for you. You can reach us 24/7. When a disaster strikes, we respond as quickly as possible. SERVPRO of Central St. Petersburg / Pinellas Park can draw on more than 1,700 U.S. and Canada locations to get the right equipment and right professionals to you faster than other companies. The past few years have seen a rapid advancement in the technology and techniques used in the restoration industry. These advancements allow SERVPRO of Central St. Petersburg / Pinellas Park to restore your property to preloss condition quickly, reliably, and more effectively. Restoring property is less expensive than replacing property. SERVPRO of Central St. Petersburg / Pinellas Park professionals practice the golden rule, "Restore whenever possible, replace only when necessary." We make sure pretesting is completed on every loss to determine restorability. SERVPRO of Central St. Petersburg / Pinellas Park can give you an itemized loss inventory. You will receive an Excel formatted report and pictures of important items. Our services start with prevention. We’ll come out to your business or home and do a review of how you can protect yourself, your family, your business, and your property from potential losses. That’s another old rule (from Ben Franklin) we like: An ounce of prevention is worth a pound of cure. Check out our SERVPRO Emergency Ready Plan. • Your home loses power or power must be shut off. • A large section of your property is suddenly exposed to the elements. • You are not able to remain in your home due to extensive, visible water. Once you are subjected to a water damage emergency, it is a high priority that you make your home safe. By hiring a professional water restoration company like SERVPRO, you can gain many restoration specialists immediately at your home lessening the results of the water damage. These professional water damage specialists have years of experience and access to the specialized equipment necessary to initiate cleanup, remove water, repair, and restore your property. Since the SERVPRO technicians work on different aspects of the remediation project simultaneously, these specialists can expedite the process of restoring your property to its original state. For this reason, attaining assistance from them is advantageous. Before contacting a team of water damage restoration specialists, call your insurance provider first. Your agent may very well suggest that you go ahead and contact SERVPRO to stifle immediately the on-going water damage event. This emergency response company works well with many insurance agents with assessment and documentation. When your home is adversely impacted by water damage, knowing what to do in the face of this unwanted event, is a positive first step. By referring to this brief overview, you can be prepared to implement all of the strategies that will keep you calm and restore your property quickly. 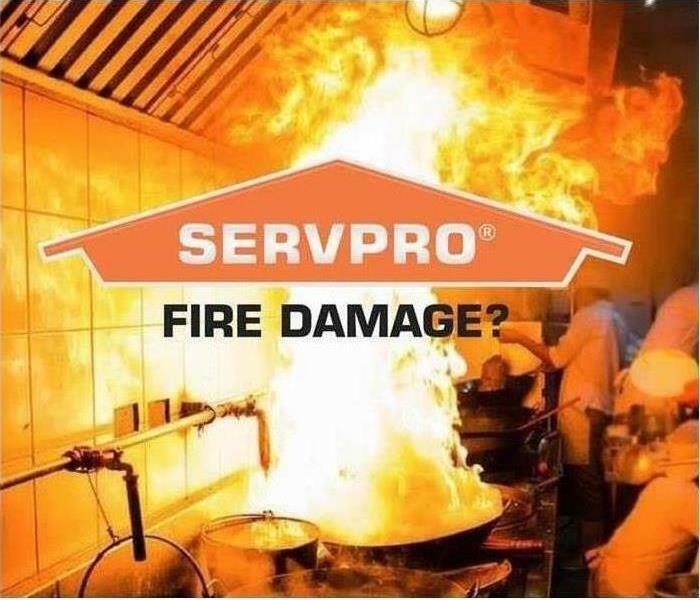 Remember to call SERVPRO whenever you find yourself in need of professional water damage or fire damage restoration services. Water damage of any kind requires water damage restoration. This is a multi-step process that needs to be handled by experts, like our staff at SERVPRO. We are licensed, certified and experienced to give you the services that you would need and expect when water has damaged your home. A certified water damage technician will come out to do a visual assessment of your water damage in St. Pete. This will help us to determine the right actions needed to reverse any adverse effects from the damage. After this is done and if there are no safety hazards, contents in your home are secured, and restoration will begin. Containing damage and extracting water as soon as possible is the top priority. Any wet materials on the floor like pillows, throw rugs, toys and clothing are taken out of the affected are. After the water is extracted, we will, if needed, start to remove any surfaces that are wet like ceilings, walls or floors to help speed up the drying process. Sometimes baseboards are removed, and any drywall or wet insulation that is non-salvageable is removed. Cabinet doors and drawers are opened, and toe kicks could be removed to make drying faster as well. Next, we will start the drying process. 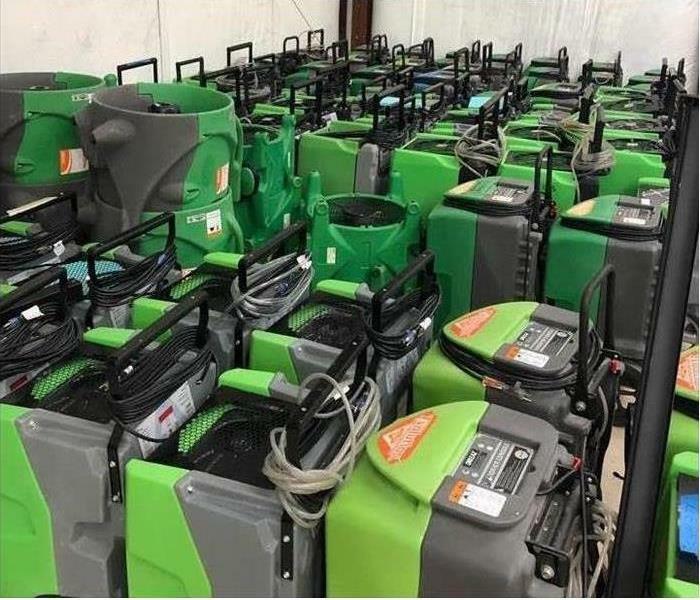 We have commercial grade equipment at SERVPRO such as dehumidifiers, air movers, heaters and wood floor drying systems to create dry air, raise air circulation and evaporation. The environment will be carefully monitored each day during the drying process, and the progress will be documented. It is crucial to control moisture to prevent any mold growth. Normal drying time is generally between two and four days, depending on the situation and what materials were impacted. Once drying is complete, our technicians will perform another inspection to ensure there are no pockets of moisture that are hidden. If there are, it could result in additional damage or growth of mold. After the damage has been mitigated, and your home is returned to a dry state, reconstruction will begin if there is structural damage or other building materials need replacement. In the end, your home will once again be a healthy and safe dwelling. For any of your water damage needs, contact the professionals at SERVPRO of Central St. Petersburg/Pinellas Park at (727) 521-2562. We will come out to assess your damages so we can begin a remediation plan right away. No one wants to get the news that their home or business has been flooded. However, SERVPRO® of Central St. Petersburg / Pinellas Park will be there to assist you if such an event should occur. Below are 5 things to consider in the event of a water Damage. It’s important to understand the damage contaminated water can do. When in doubt if you are dealing with contaminated water it is best to assume that you are handle everything with care and be sure to wash your hands after handling anything and do your best to keep the area off limits until SERVPRO® arrives to assess the situation. In the event this occurs, make sure you remember where you walked so the affected areas can be properly treated. 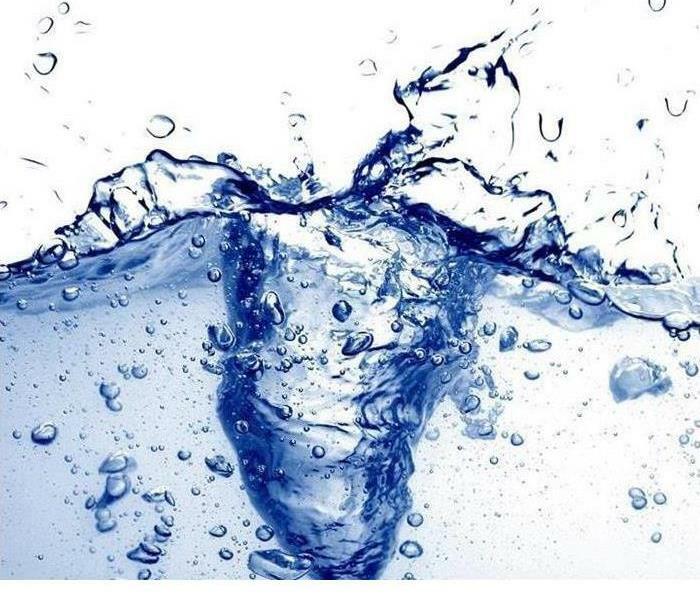 Contaminated water spreads quickly and can cause a multitude of problems in a short amount of time. Turning on the HVAC system or allowing it to continue to run will cause the contaminates to spread through your home or office. This increases the amount of time for mitigation. It is important to remember that the most challenging aspect of contaminated water is not what you can see, but what you cannot see. Using household fans in a situation like this will only cause more harm to the structure and potentially to the people in the structure. Again, when in doubt act as though you are dealing with contamination. SERVPRO® will be on site as soon as possible to give a comprehensive breakdown of what you are dealing with. The sooner we are allowed to respond the better. In the event of a water damage, take no chances. Call SERVPRO® of Central St. Petersburg. SERVPRO of Central St. Petersburg understands that using the proper equipment makes a measurable difference in reducing claims loss expense. When time matters, technology and equipment must be counted on to perform. We will answer your call with fast action, exceptional equipment, and trained, uniformed personnel. Certainly, the right tool for the job is vital to timely mitigation, but perhaps more important, these water damage professionals thoroughly understand how to dry a structure and personal property effectively. Desiccant Dehumidifiers - uses chemicals, called desiccants, that readily absorb moisture from the air. Ultra-Low Volume (ULV) Foggers will atomize liquid deodorizing agents, producing fine mist that easily penetrates sites where odor-causing residues accumulate. The device can also be used to inject fungicides and disinfectants into wall cavities and other difficult-to-access areas. Thermal Foggers dispense solvent-based products in large volume, dense fog suitable for confined areas. The fog consists of tiny particles of deodorant solution that pair with and neutralize odor-causing particles. Unexpected emergencies like severe weather call for immediate action. SERVPRO of Central St. Petersburg / Pinellas Park knows immediate reaction to the disaster is important to helping you get your life back to normal. If you have storm damage to your home or property, call us today. Timely mitigation is the key to minimize secondary damages caused by severe storms. We are also a one stop shop. We can handle everything from tarping and board ups to all of your post construction needs as well. The team at SERVPRO of Central St. Petersburg / Pinellas Park is always ready to inspect and maintain your HVAC system, and we are here to answer any questions you might have. We are also experienced in large cleanup jobs such as those needed because of fire damage or water damage, and we are pros at mold remediation. Call us today! After you have dealt with commercial fire damage, you may ask yourself when you need to make the call to a professional for assistance. The time to contact SERVPRO of Central St. Petersburg / Pinellas Park as soon as the fire is out. Our business is to get you back in business! Rely on us, 24/7 for an immediate response. Fire damage in your business is a serious concern. Even moderate damage can result in your facility being closed for repairs for weeks on end, and this can be financially devastating. The unfortunate reality is that no business is immune to the risk of fire. Some facilities may be more likely to endure damage from a fire, such as a restaurant that uses open flames throughout the day. However, there are many fire hazards that are present in most workplaces on a daily basis regardless of the type of activities that take place in the building. When you know what these hazards are, you can take proper steps to address and mitigate those risks and prevent possible fire damage and smoke damage. Below we have included the 3 main things to pay attention to. Damage to electrical wiring can result in sparks that quickly lead to damaging fires. Electrical wiring damage may include frayed cords, such as those connecting desktop computers to the wall power outlets. It may also include damage to internal wiring inside the walls, and these may be damaged by pests and other forces. Electrical fires may also start when power sockets are overloaded or when equipment gets too hot. Periodically review your company's wiring to identify areas of concern that need to be addressed. Other hazards in workplaces are related to poor equipment maintenance. For example, failing to service your furnace regularly may result in the accumulation of dust and other flammable debris. A gas leak in the furnace could result in a fire or an explosion. 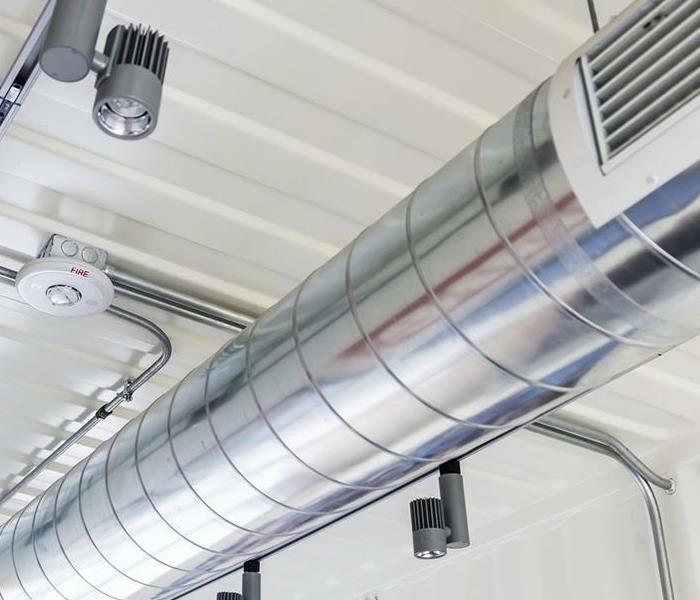 Fire hazards related to poor maintenance may also include dusty, dirty or greasy components, such as air ducts and vents, kitchen exhaust vents and many other features that are used throughout your facility. Scheduling necessary maintenance can decrease fire risk in these areas. 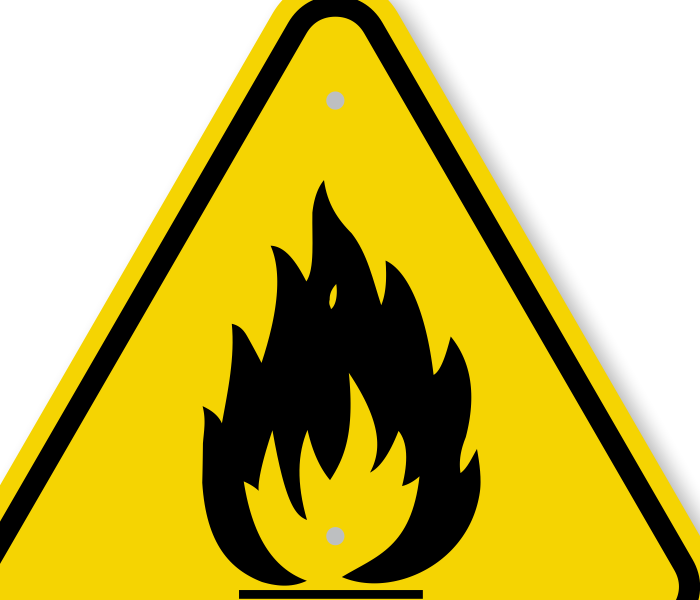 Flammable and combustible materials are most commonly associated with industrial and warehouse environments, but even restaurants, hotels, dry cleaners and many other types of business may store combustible materials on-site. These materials should remain properly sealed according to the manufacturer’s recommendations at all times. As you can see, there are numerous fire hazards that could result in serious damage in your business. If your business has already experienced fire damage, it is essential that repair work is completed as soon as possible. SERVPRO of Central St. Petersburg / Pinellas Park is your trusted source for quality repair services. We can quickly restore your building to its previous condition so that operations can resume in your place of business. To request assistance with your damaged building, contact us today.